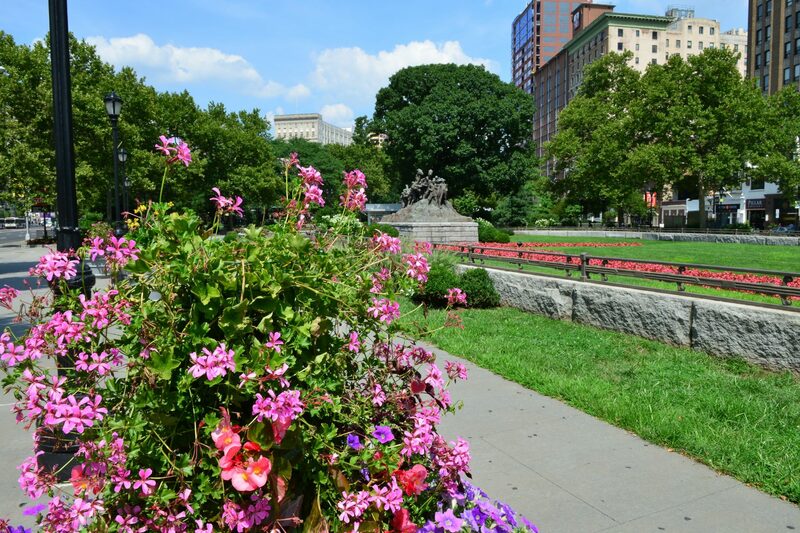 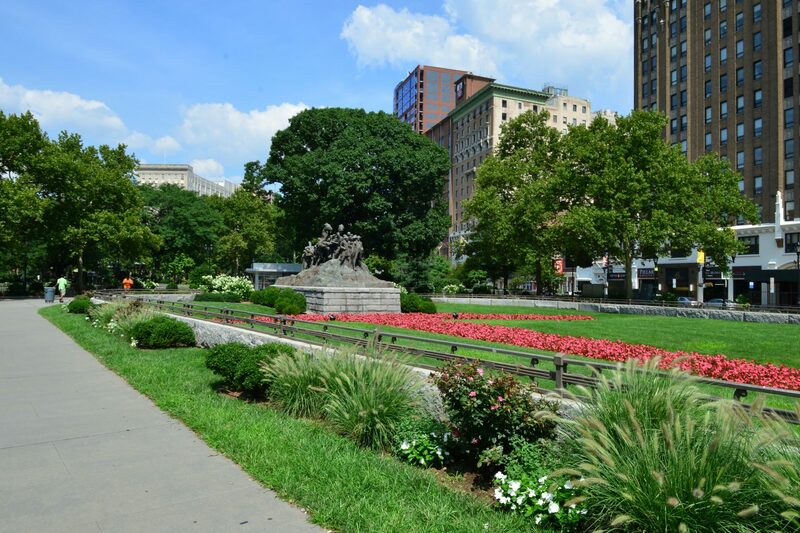 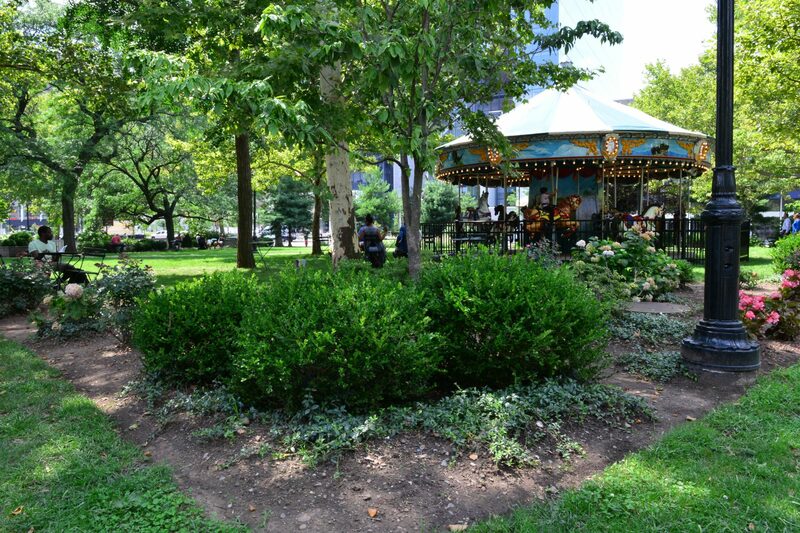 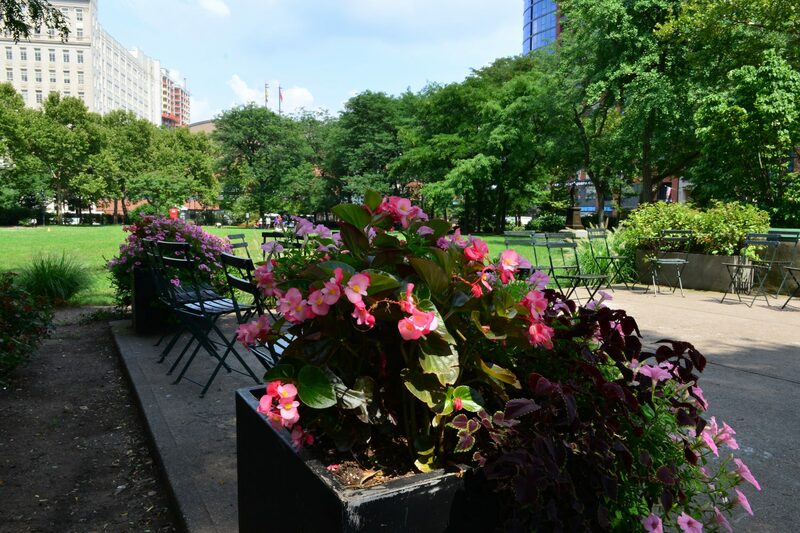 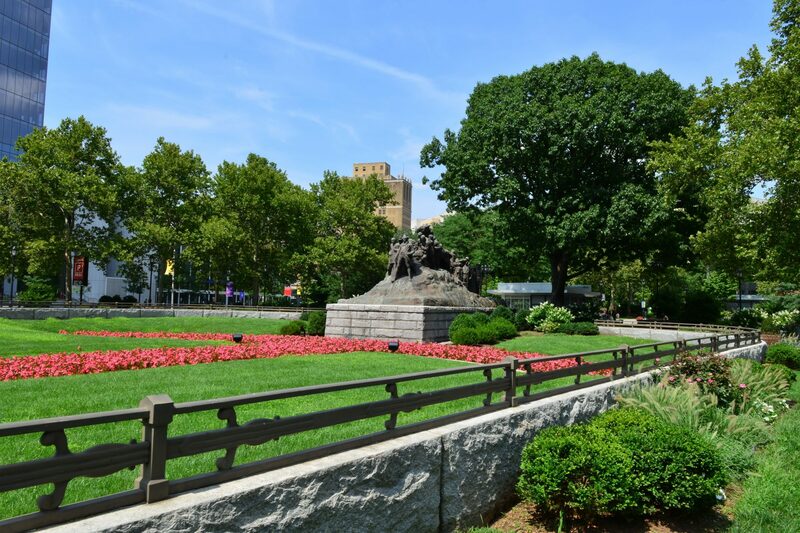 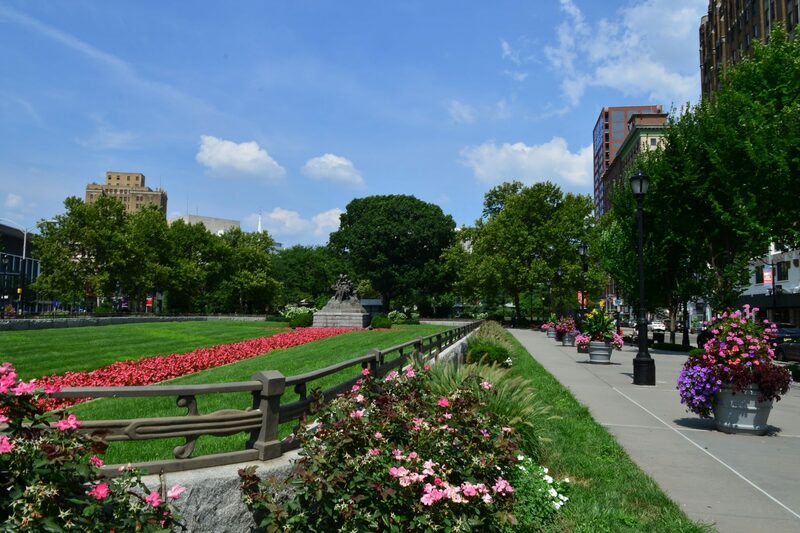 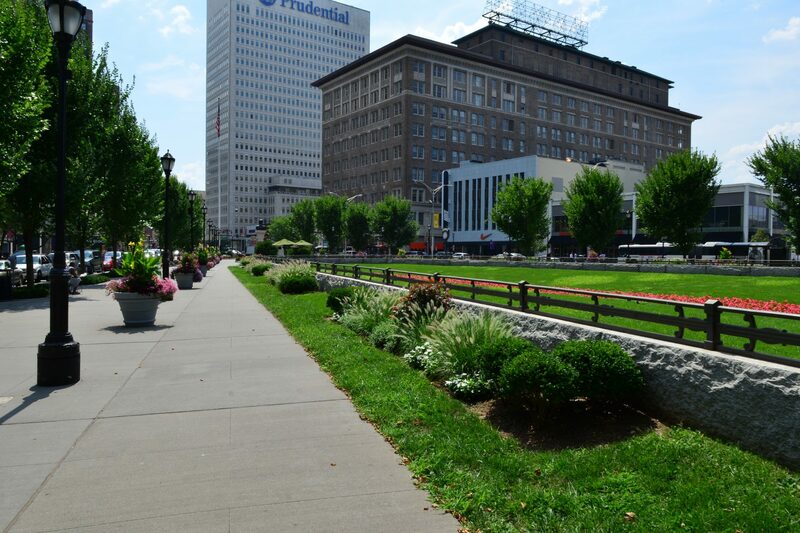 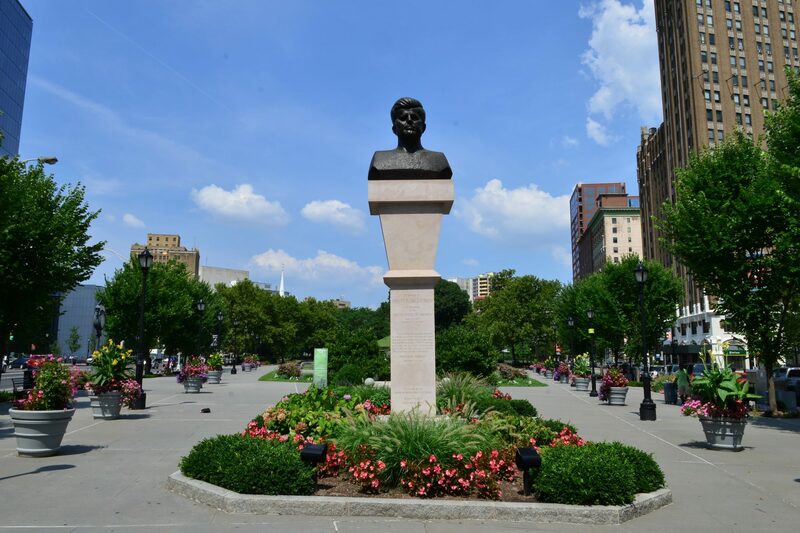 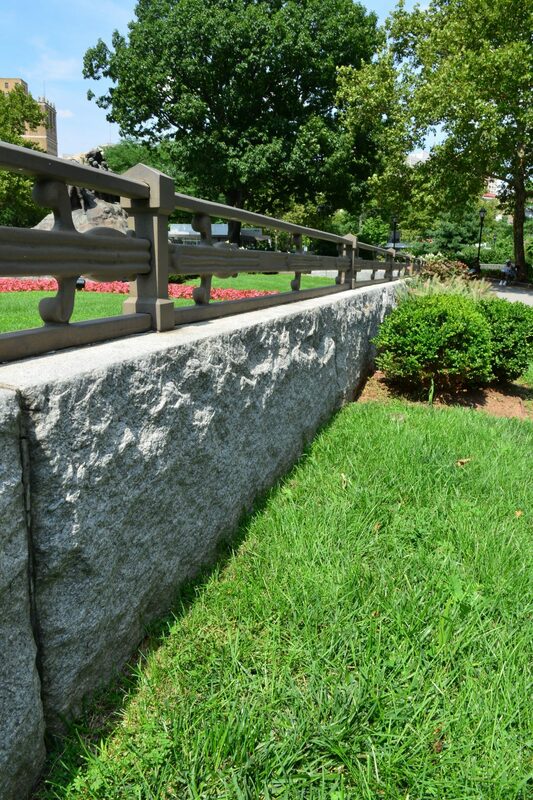 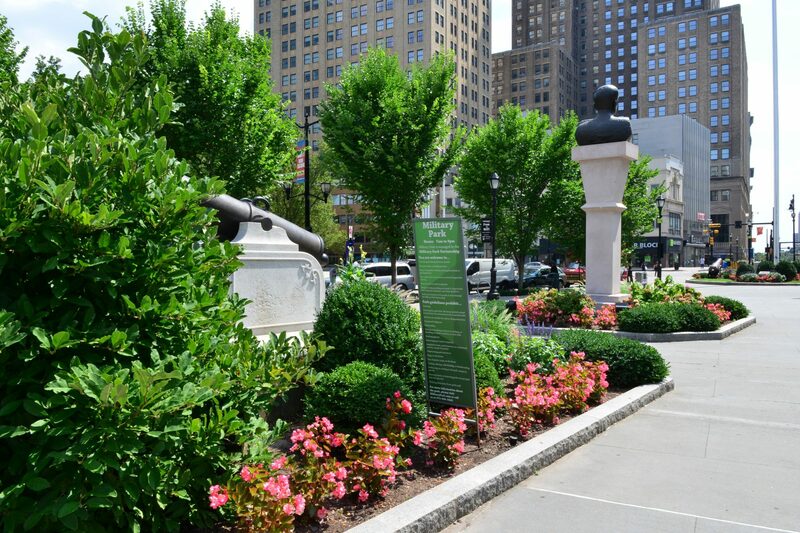 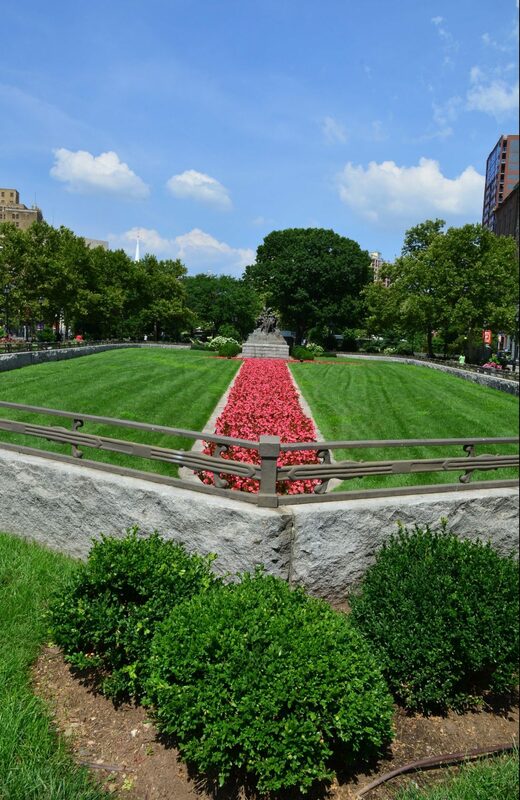 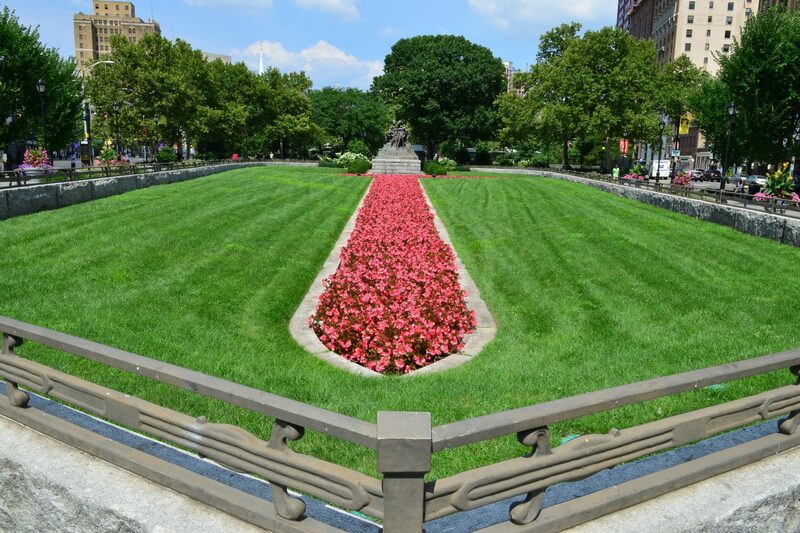 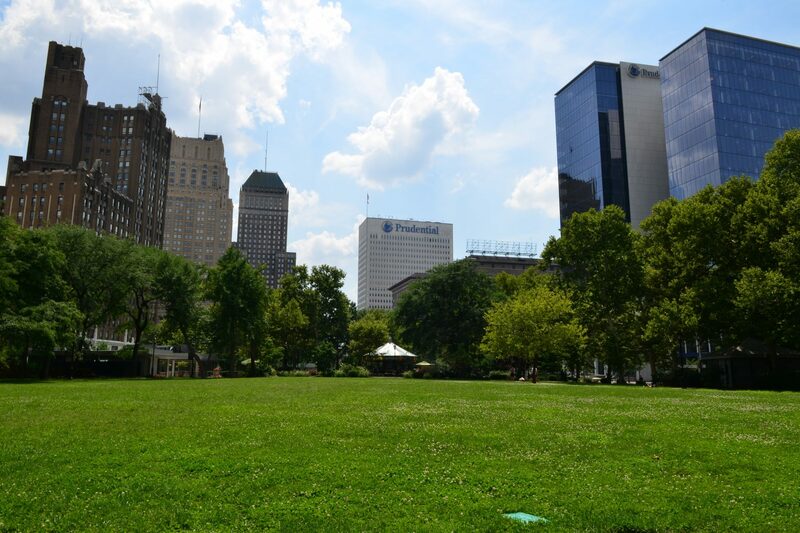 Military Park is a historic 6-acre city park in downtown Newark, NJ that has undergone a multi-million dollar makeover. 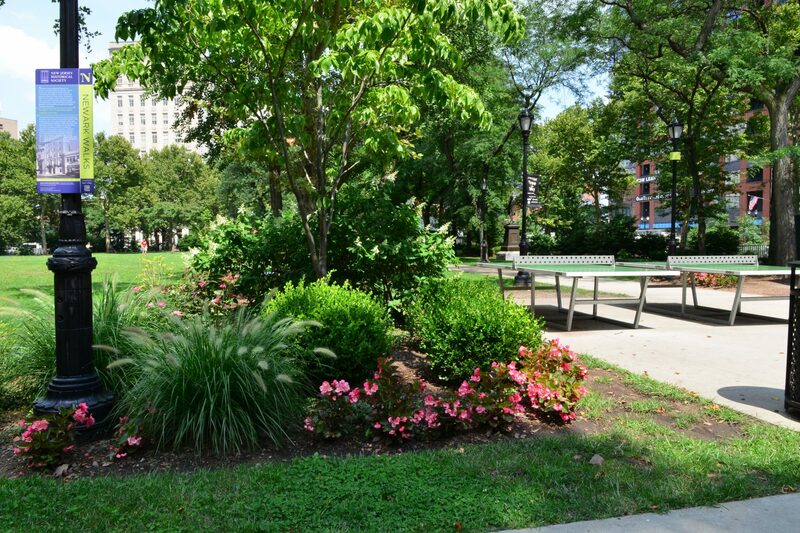 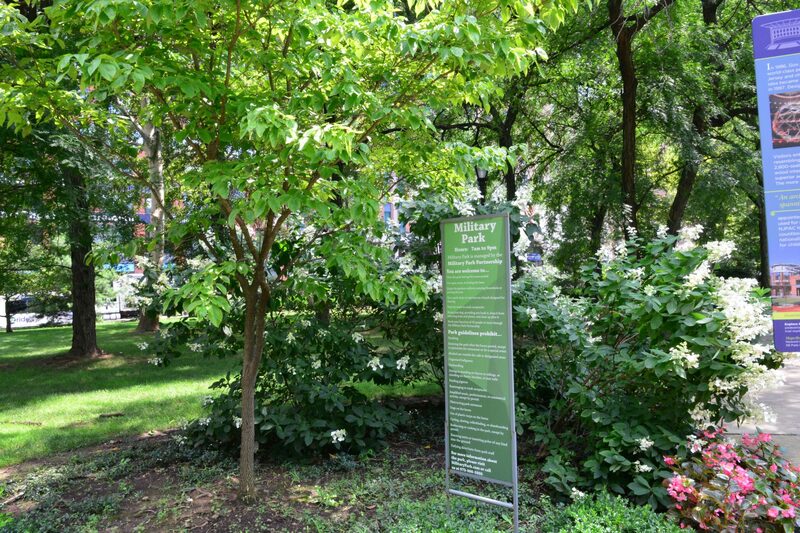 Let It Grow, Inc. was contracted by Biederman Redevelopment Ventures to revive the park which had deteriorated due to neglect over the years. 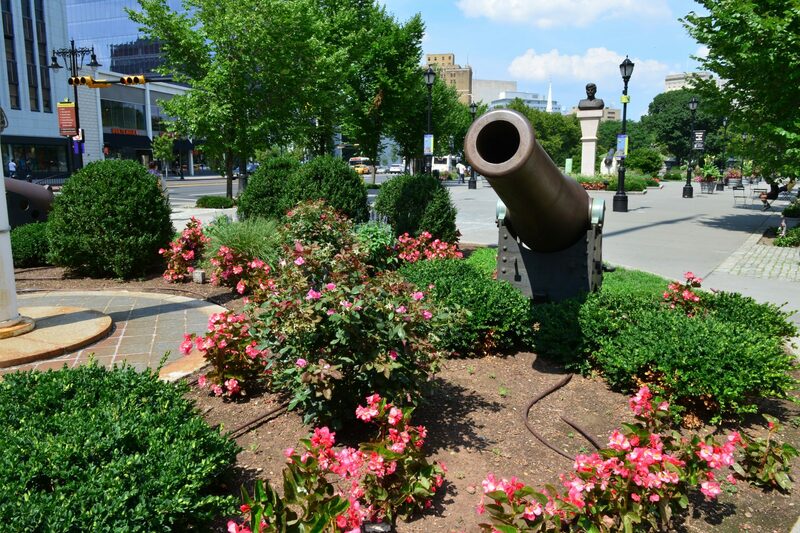 The park served as a training ground for soldiers until 1869; and George Washington’s troops camped here during the retreat of 1776. 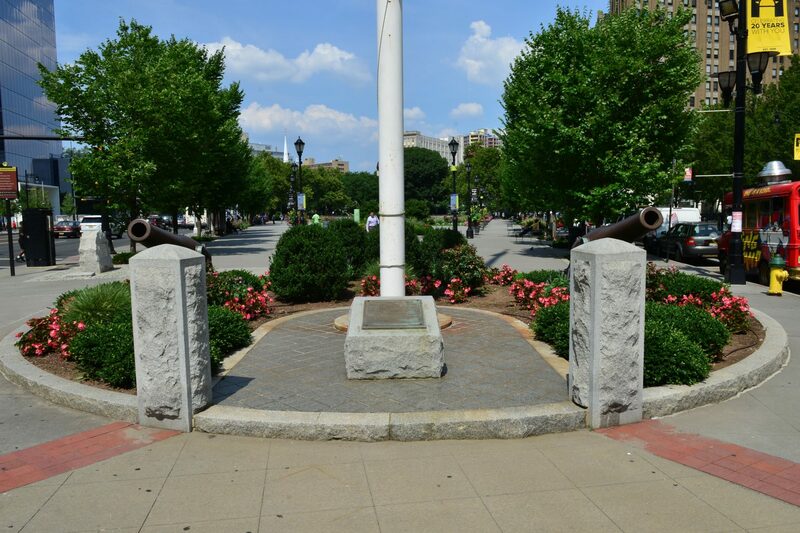 One end of the park has a liberty pole standing in the spot where the original stood back in the 1700’s. 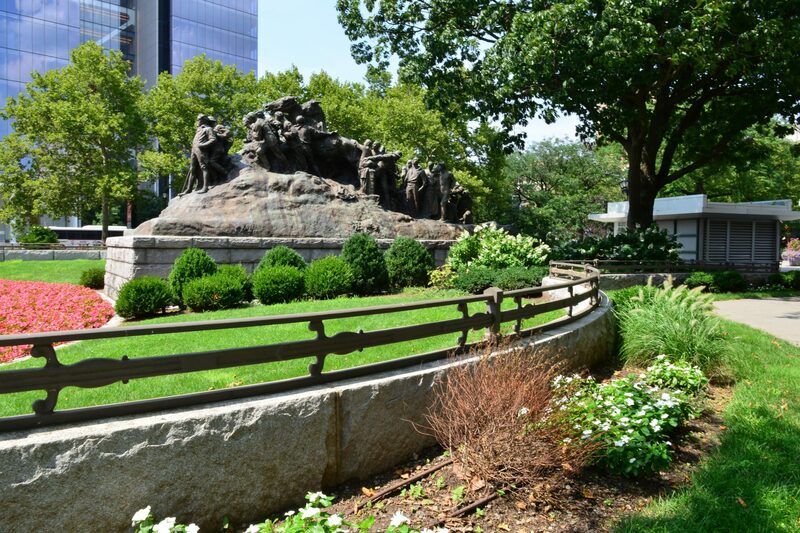 In the park is The Wars of America sculpture, depicting soldiers from all of America’s wars, including the Revolutionary War. 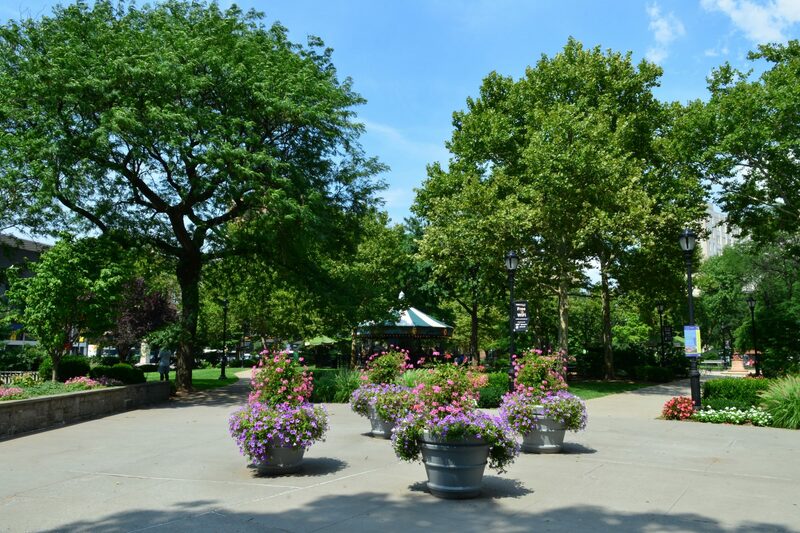 Let It Grow’s scope of work began with the complete demolition of the park’s concrete paving, pavers and granite curbs, existing fence, tree pits, bus stations and park signs and light posts. 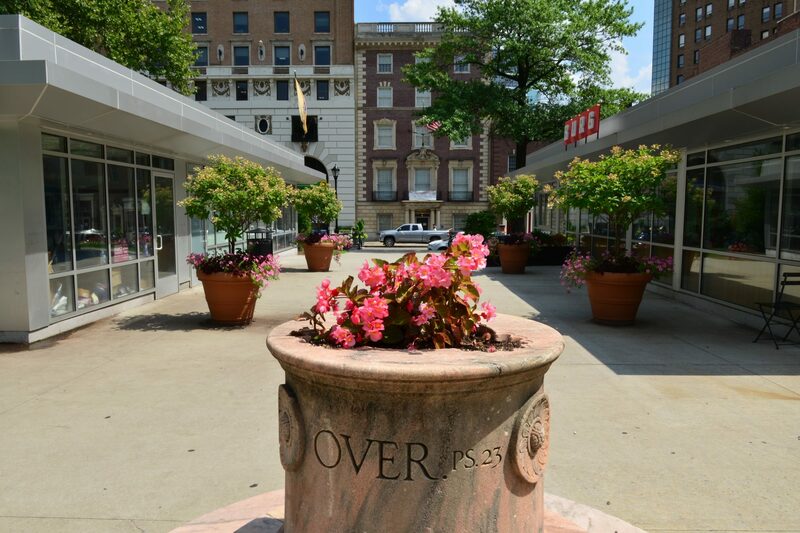 The old paving was replaced with new color concrete paving and the installation of granite planter curbs and pavers. 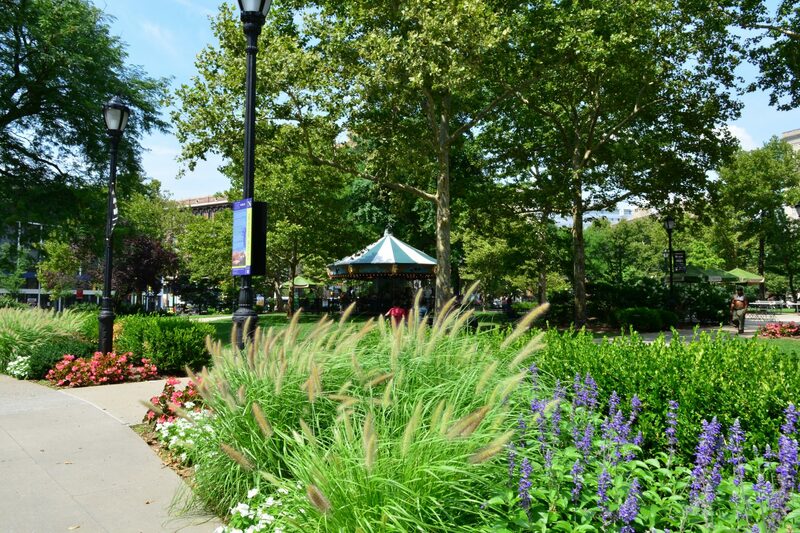 The park was then graded to achieve positive drainage. 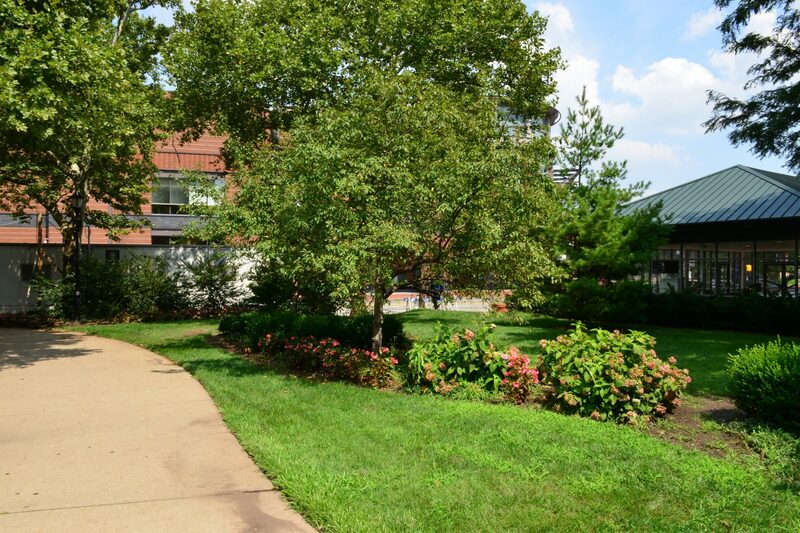 A new electrical system was installed with all new light fixtures and light posts. 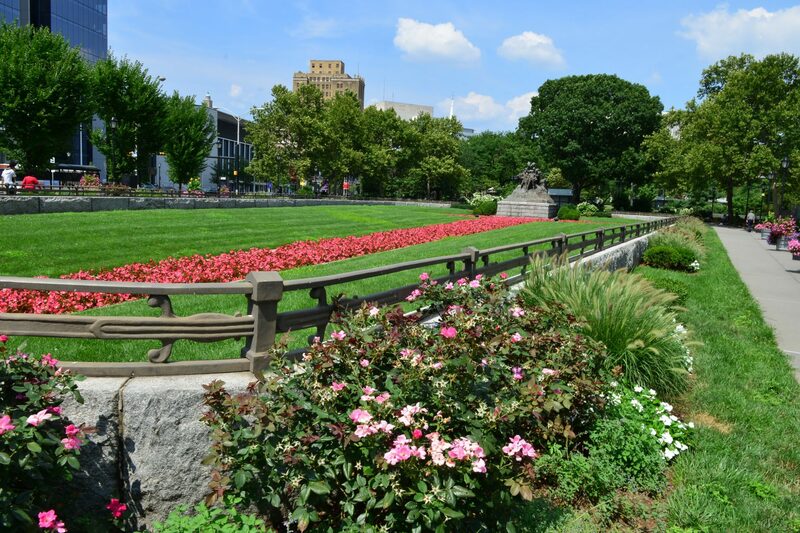 Additional work included new landscaping and gardens, the renovation of three stair pavilions, and the renovation of park facilities including bathrooms and the operations office. 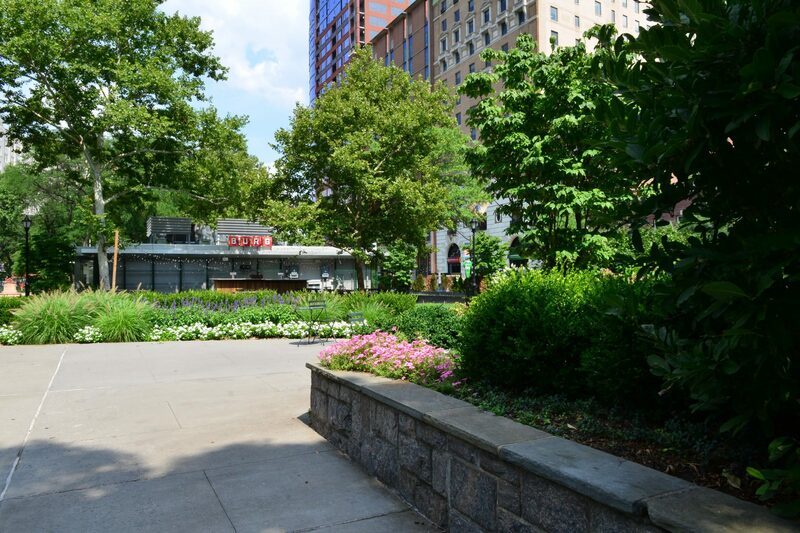 Let It Grow’s final scope of work included the construction of a structure to be used as a restaurant at a future time. 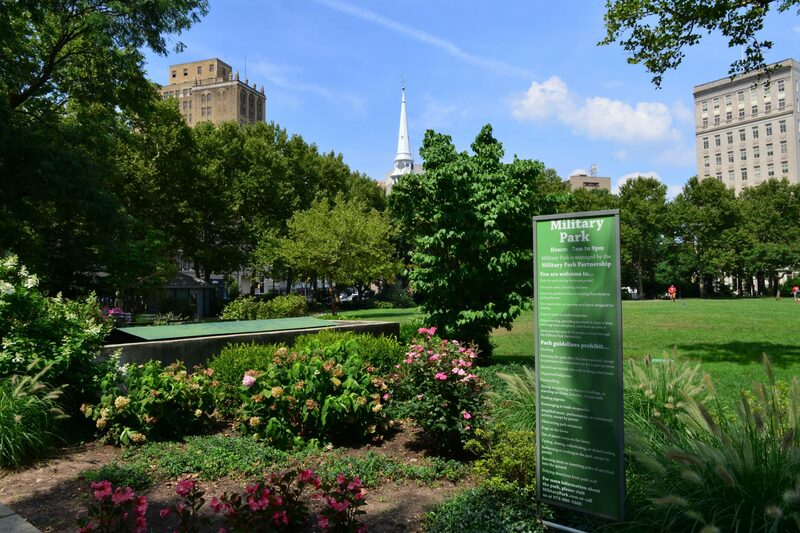 Let It Grow was proud to contribute to the success of this important urban revitalization project.